There is no bilateral meeting lined up between PM Modi and Nawaz Sharif on sidelines of SCO Summit. NEW DELHI: Days before Prime Minister Narendra Modi and his Pakistan counterpart Nawaz Sharif find themselves in the same room in Kazakhstan capital Astana, India on Monday ruled out any meeting between the two leaders on the sidelines of the multilateral Shanghai Cooperation Organisation Summit later this week. "No meeting is scheduled either from their side or from our side," Foreign Minister Sushma Swaraj said. There have been suggestions from the Pakistani foreign ministry that Islamabad was open for talks between the two leaders scheduled to be in Astana this week. Both India and Pakistan will be formally admitted as full members to the SCO at the multilateral summit on 8 and 9 June. 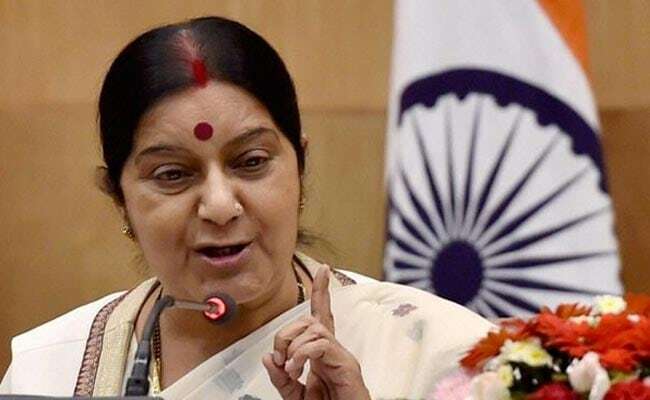 Ms Swaraj's response to a query on the possibility of a meeting came at a Press conference, hours after the Indian Army's Director General of Military Operations warned Pakistan of "appropriate retaliatory actions" if its army continued to abet infiltration of terrorists. The minister also emphasised that the government was asking other countries not to see cross-border issues or terrorism emanating from the neighbouring country from the prism of India but see if international terrorism was in any way linked with Pakistan. "Finally, where was Osama bin Laden found? In Pakistan," she said, adding it was time to finalise the Comprehensive Convention on International Terrorism at the UN and define terrorism.